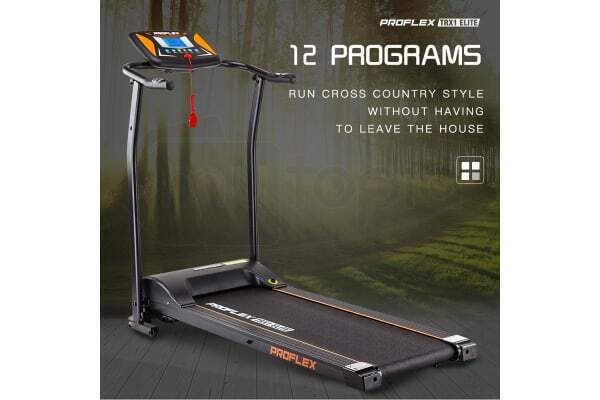 The NEW PROFLEX® TRX1 Elite 1.5HP Treadmill provides a truly effective and sustainable approach to weight loss and toning. 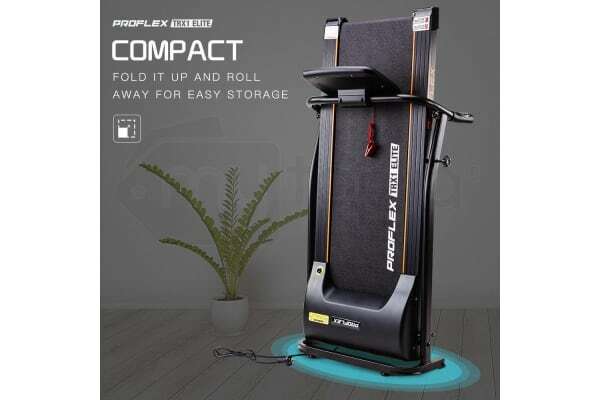 This compact unit allows you to perform essential cardio exercises that will help you shred body fat within the comfort of your living room. The TRX1 Elite features a selection of 12 pre-set training programs designed to simulate natural walking and running conditions without having to spend hundreds on gym fees. Its minimal design results in a no fuss approach to home cardio – you’ll rejoice in how easy it is to operate! When you’re finished your workout, the unit compacts for easy storage. Transporting is easy with the handy roller wheels that allow you to trolley the machine around with minimal effort. It features a prominent digital LCD display with mode and speed adjustment controls. Its Linear PowerDrive™ Motor produces smooth and seamless operation with 14 speed levels, and the maxi-grip belt and soft-grip handle bars make your session a sturdy and comfortable experience. 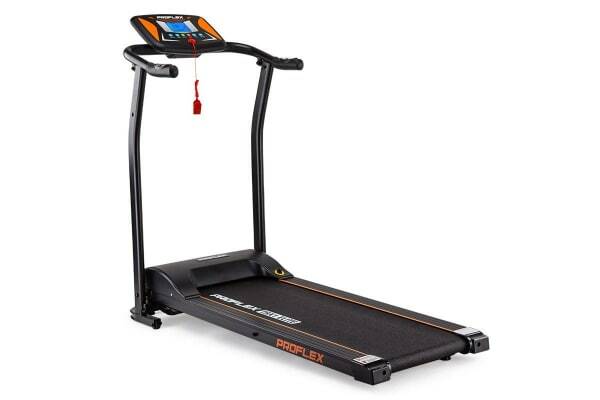 The PROFLEX® TRX1 Elite treadmill brings the quality and reliability built into all PROFLEX products. There’s no excuses to get started on your fitness journey today – Order your very own TRX1 Elite today!